Made to measure furniture could be the answer to your furnishing ideal and probably costs less than you may think! We offer either to adjust most items within our standard range .i.e. change a dimension, alter the style etc or start from scratch using your thoughts and design. 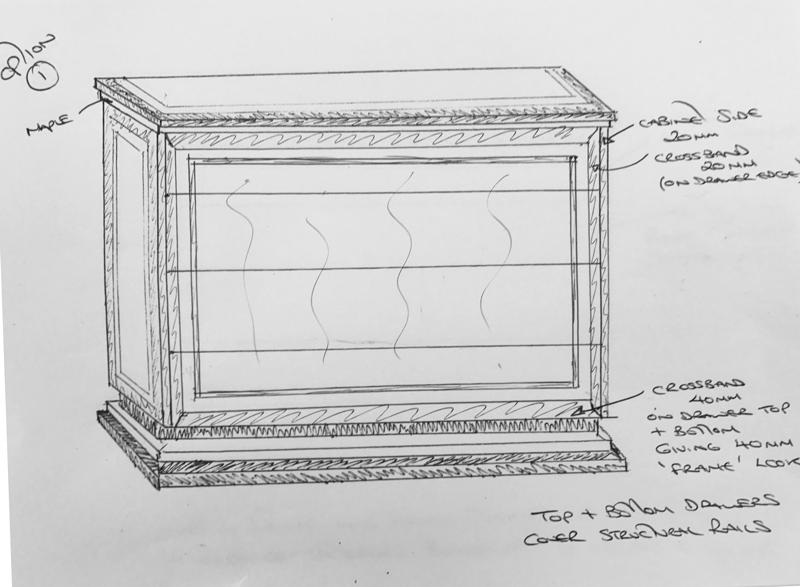 Supply us either a rough sketch or full description of your ideal piece of furniture and we will happily work through the possibilities and costs with you. 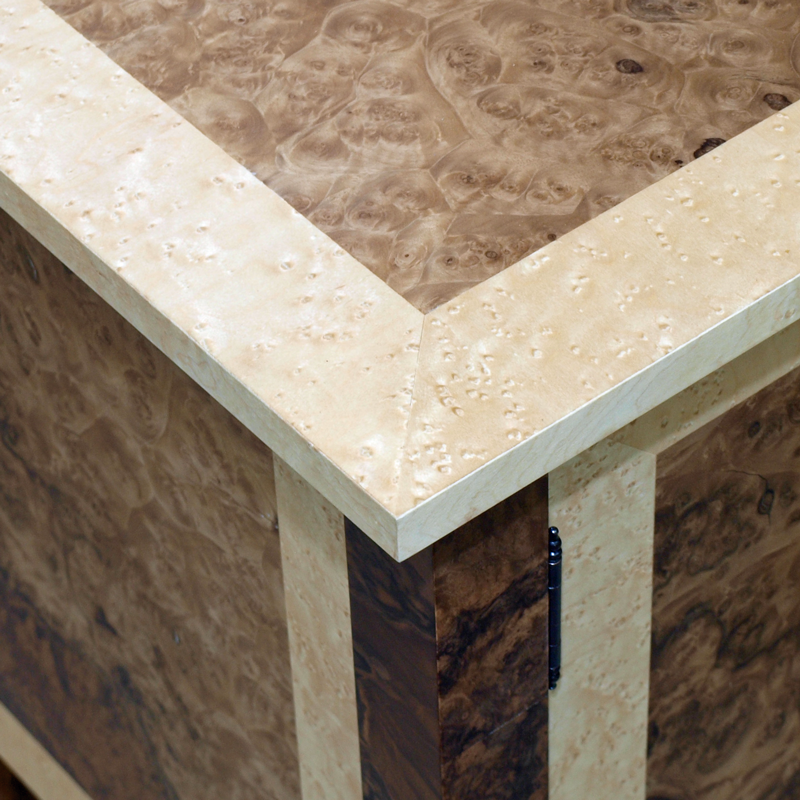 We work with new bespoke projects every week so whatever your ideas, please do not hesitate to share them with us! 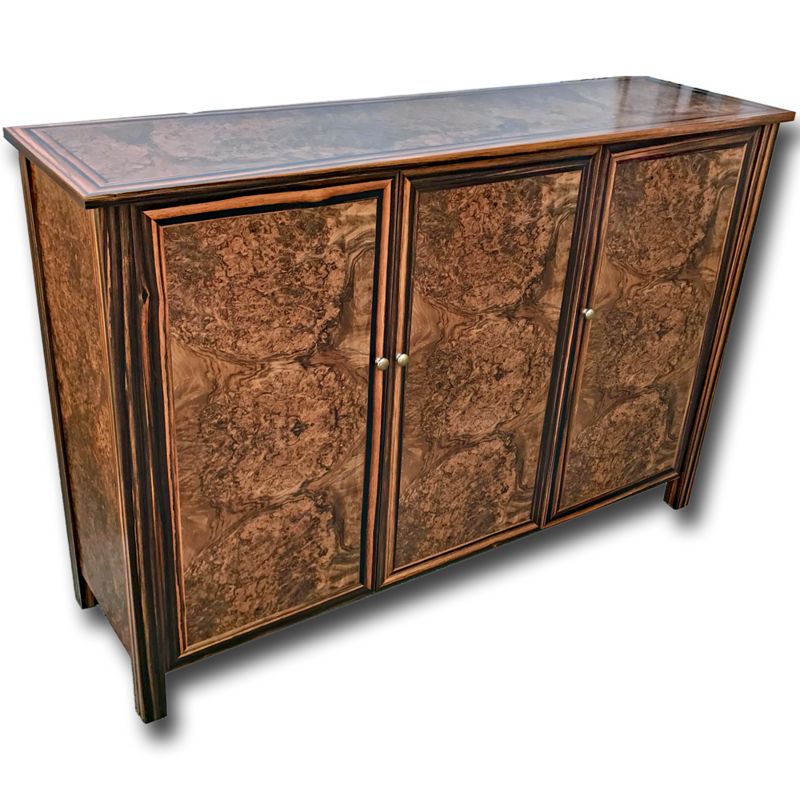 Ref: besp65 Absolutely stunning Burr walnut & Ebony Sideboard. 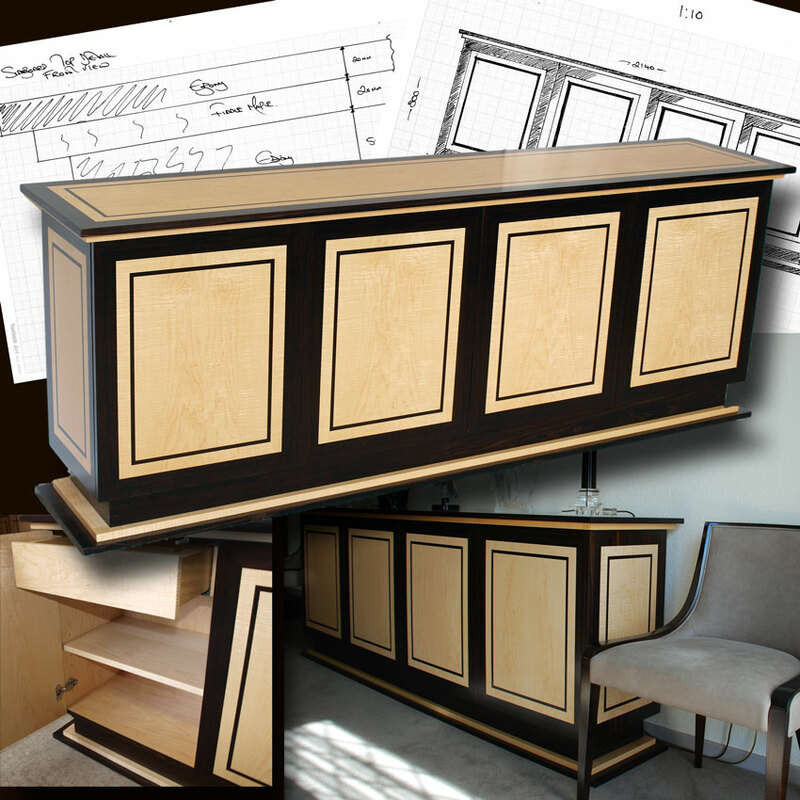 Drawing basic design principles and wood selection from our Marshbeck Deco Range, this unique art deco inspired sideboard was born. To get a quote for a similar item or something to your own design, please use the form at the bottom of this page. Ref: besp66 Absolutely stunning Ebony desk. Drawing basic design principles and wood selection from our Marshbeck Deco Range, this unique art deco inspired sideboard was born. Painstakingly designed with every aspect given thought to functionality, asthetics and proportion. Features ebony all over and finished in natural high gloss lacquer to show off the striking ebony patterns and maple drawer fronts To get a quote for a similar item or something to your own design, please use the form at the bottom of this page. Ref: besp63 Absolutely stunning Ebony Sideboard. 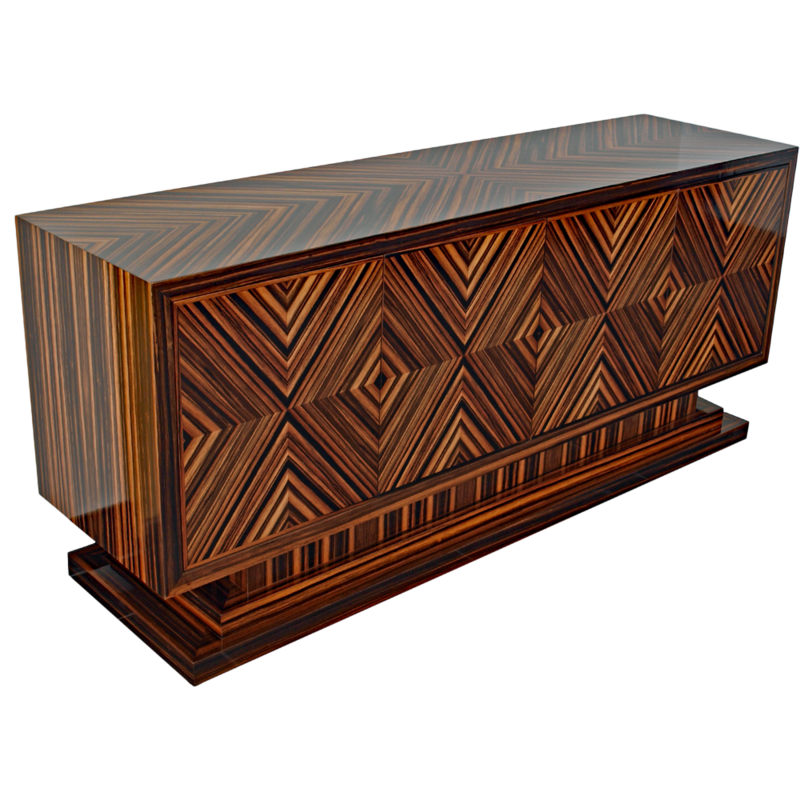 Drawing basic design principles and wood selection from our Marshbeck Deco Range, this unique art deco inspired sideboard was born. Painstakingly designed with every aspect given thought to functionality, asthetics and proportion. 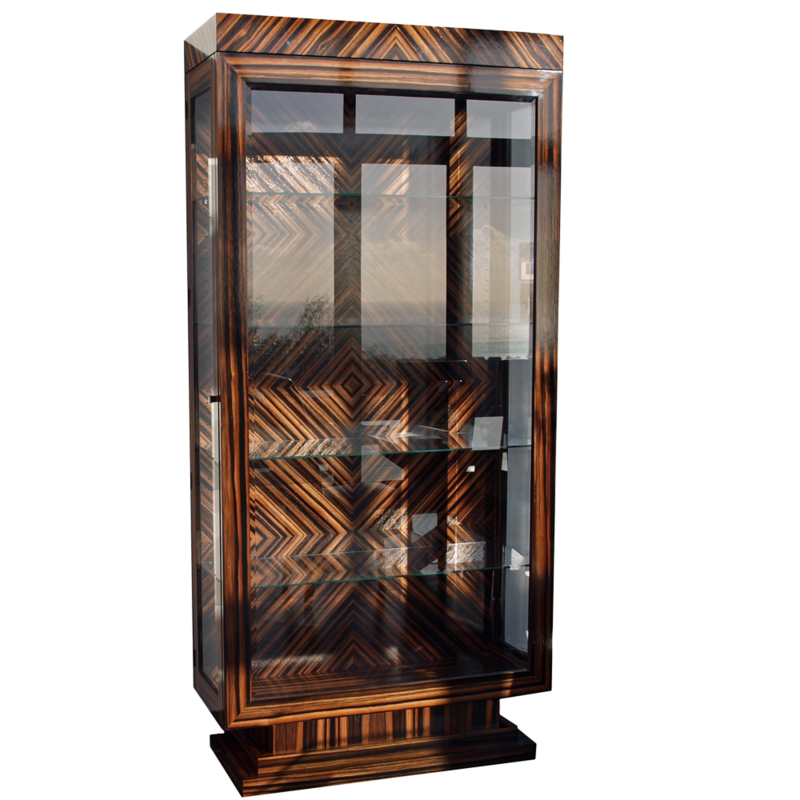 Features feather cut ebony all over and finished in natural lacquer to show off the striking ebony patterns To get a quote for a similar item or something to your own design, please use the form at the bottom of this page. Ref: besp64 Absolutely stunning Ebony Sideboard. Drawing basic design principles and wood selection from our Marshbeck Deco Range, this unique art deco inspired cabinet was born. Painstakingly designed with every aspect given thought to functionality, asthetics and proportion. 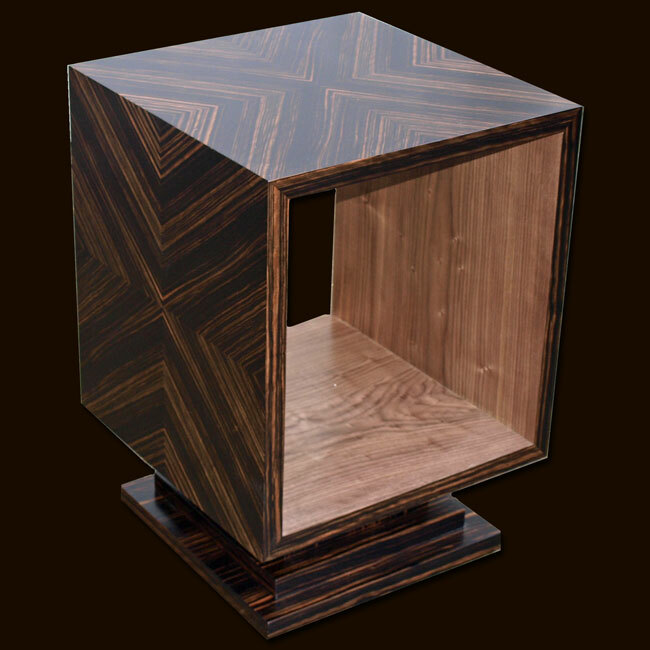 Features feather cut ebony all over and finished in natural lacquer to show off the striking ebony patterns To get a quote for a similar item or something to your own design, please use the form at the bottom of this page. 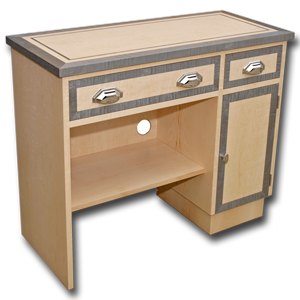 Ref: besp56 Using items from our Marshbeck Deco Collection range, we were asked to produce this art deco inspired desk to spec. This item was handmade using two stunning and contrasting woods; Fiddle maple and pressure-dyed figured sycamore (also known as Tabu). 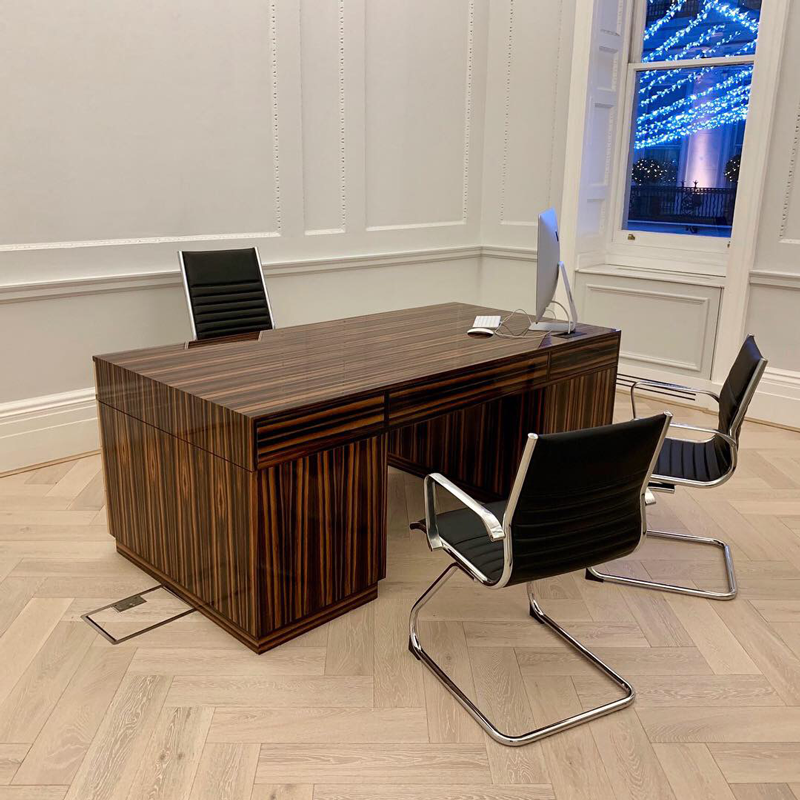 Both our customer and our workshop team were so please with the result of this unique piece of furniture, the effect and style is stunning! 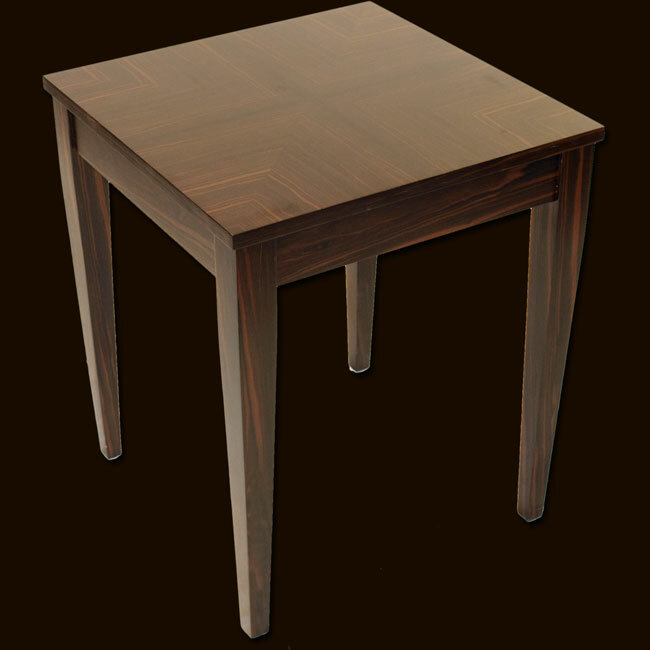 Ref: besp57 Using items from our Marshbeck Deco Collection range, we were asked to produce this art deco inspired small dining table to spec. This item was handmade using two stunning and contrasting woods; Fiddle maple and pressure-dyed figured sycamore (also known as Tabu). Both our customer and our workshop team were so please with the result of this unique piece of furniture, the effect and style is stunning! Ref: besp58 Using items from our Marshbeck Deco Collection range, we were asked to produce this art deco inspired small coffee table to spec. This item was handmade using two stunning and contrasting woods; Fiddle maple and pressure-dyed figured sycamore (also known as Tabu). 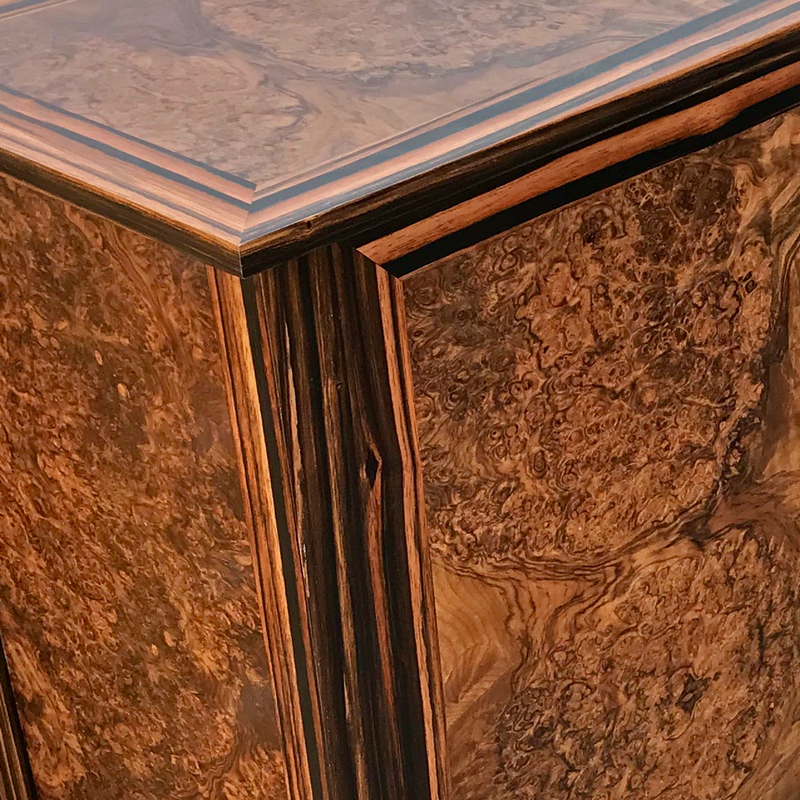 Both our customer and our workshop team were so please with the result of this unique piece of furniture, the effect and style is stunning! 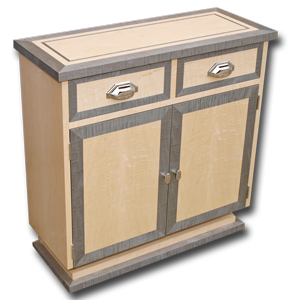 Ref: besp59 Using items from our Marshbeck Deco Collection range, we were asked to produce this art deco inspired small sideboard to spec. This item was handmade using two stunning and contrasting woods; Fiddle maple and pressure-dyed figured sycamore (also known as Tabu). 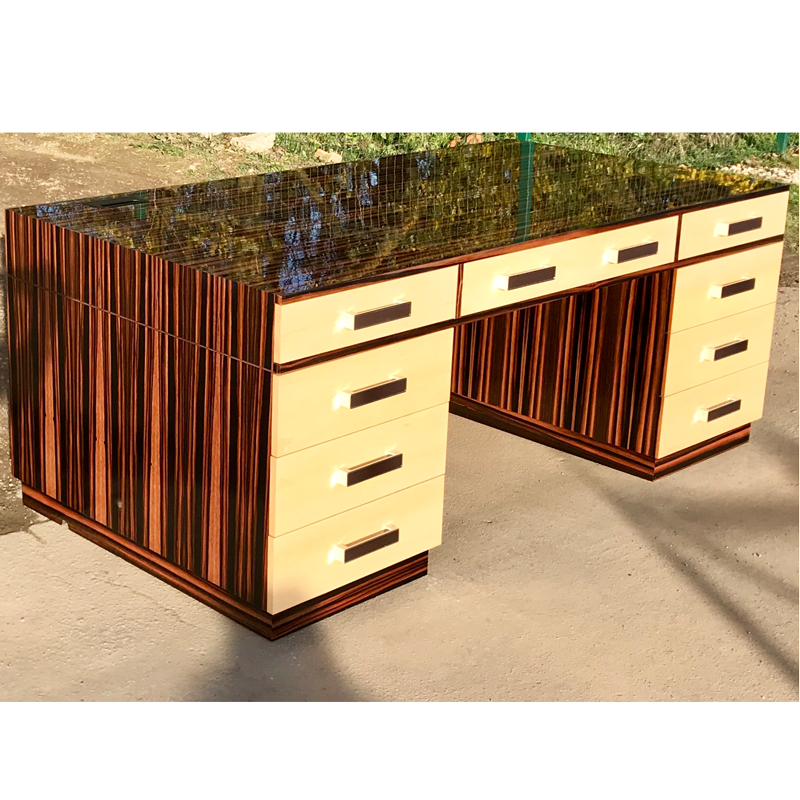 Both our customer and our workshop team were so please with the result of this unique piece of furniture, the effect and style is stunning! Ref: besp52 Absolutely stunning Ebony TV Stand/Sideboard. 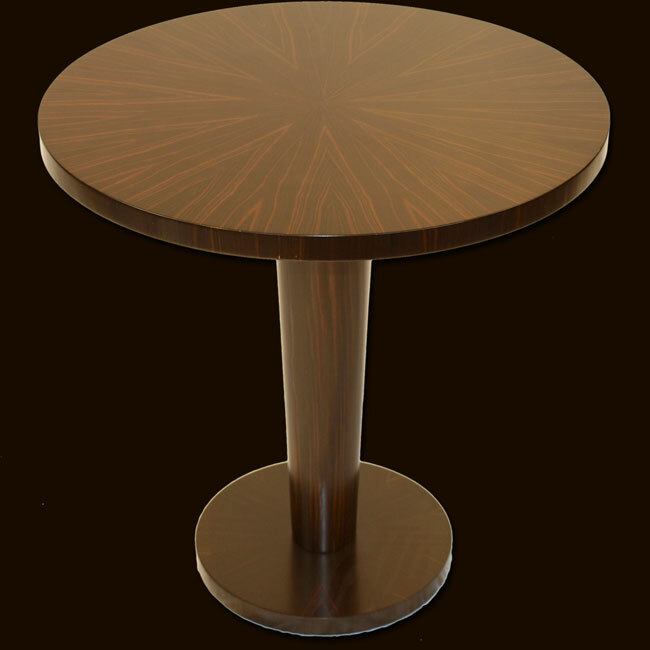 Drawing basic design principles and wood selection from our Marshbeck Deco Range, this unique art deco inspired table was born. Painstakingly designed with every aspect given thought to functionality, asthetics and proportion. Features feather cut ebony all over and finished in natural lacquer to show off the striking ebony patterns To get a quote for a similar item or something to your own design, please use the form at the bottom of this page. Ref: besp53 Absolutely stunning Ebony Sideboard. 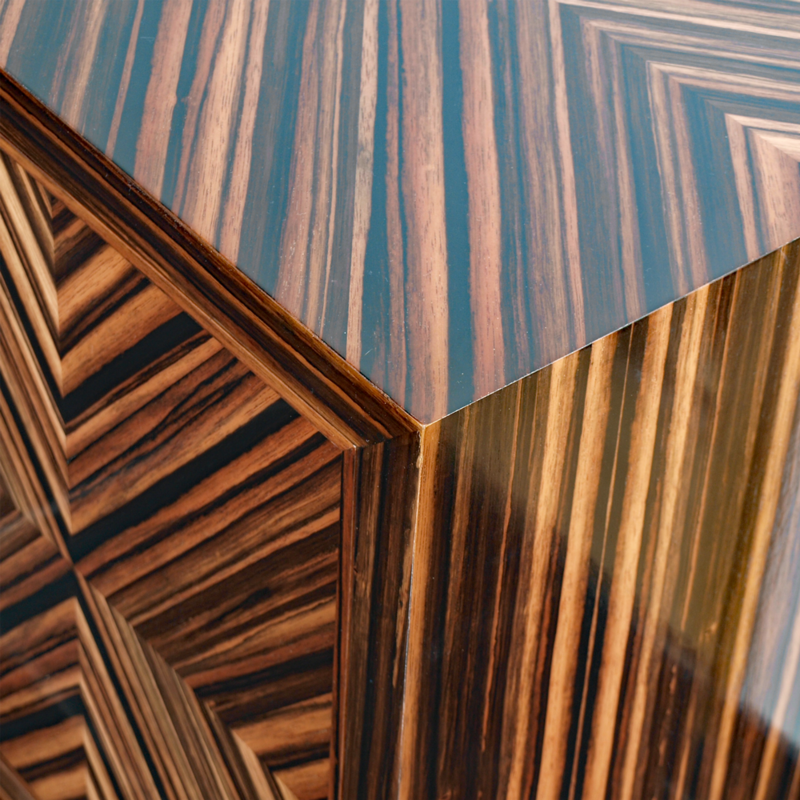 Drawing basic design principles and wood selection from our Marshbeck Deco Range, this unique art deco inspired table was born. Painstakingly designed with every aspect given thought to functionality, asthetics and proportion. 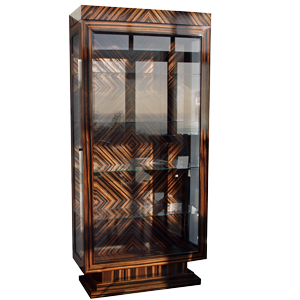 Features feather cut ebony all over and finished in natural lacquer to show off the striking ebony patterns To get a quote for a similar item or something to your own design, please use the form at the bottom of this page. Ref: besp30 Using items from our Marshbeck Deco Collection range, we were asked to produce this art deco inspired sideboard/TV unit to spec. 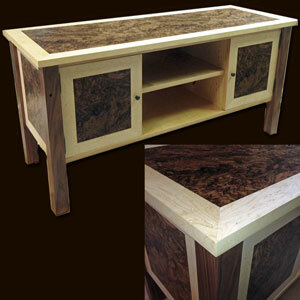 This item was handmade using the coveted ebony wood with a natural bird's eye maple contrasting wood. 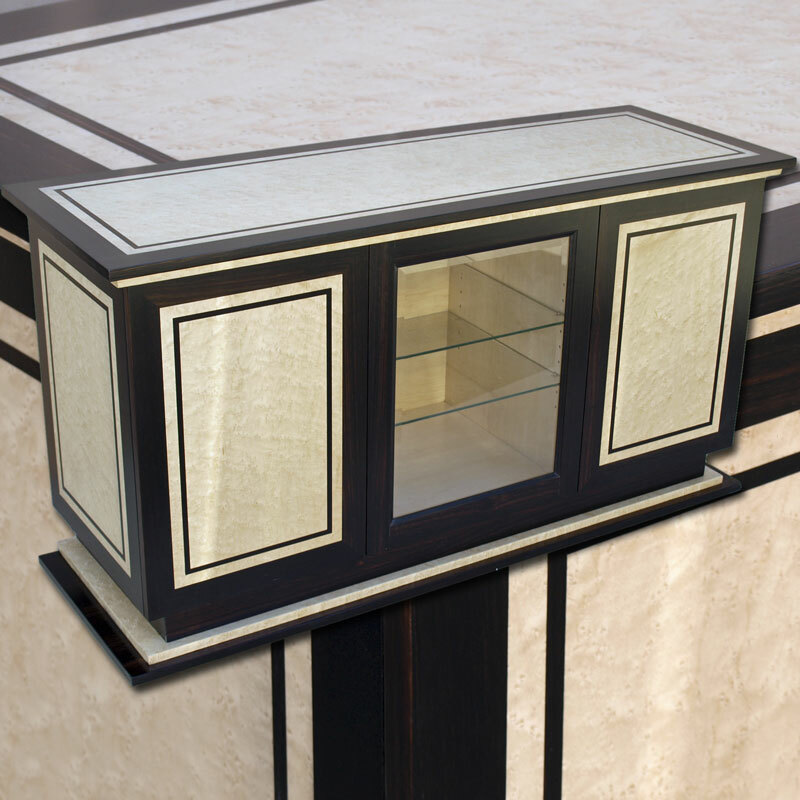 A stepped base and top with push-to-open doors created the perfect balance of form and function. Glass shelving throughout and all the necessary wire access for storing TV related hardware. 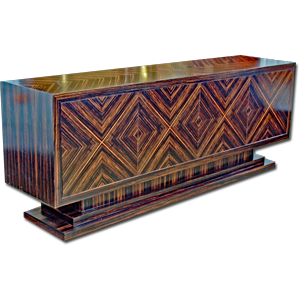 Ref: besp22 Using items from our Marshbeck Deco Collection range, we were asked to produce an art deco inspired sideboard to spec. 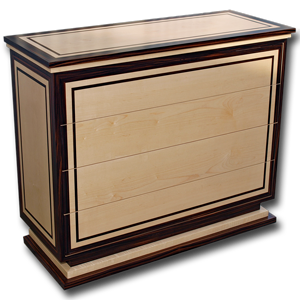 The one was handmade using the coveted ebony wood with a natural maple contrasting wood. A stepped base, shelving & push to open doors to finish. Ref: besp23 Absolutely stunning Ebony Lamp/Card Table. 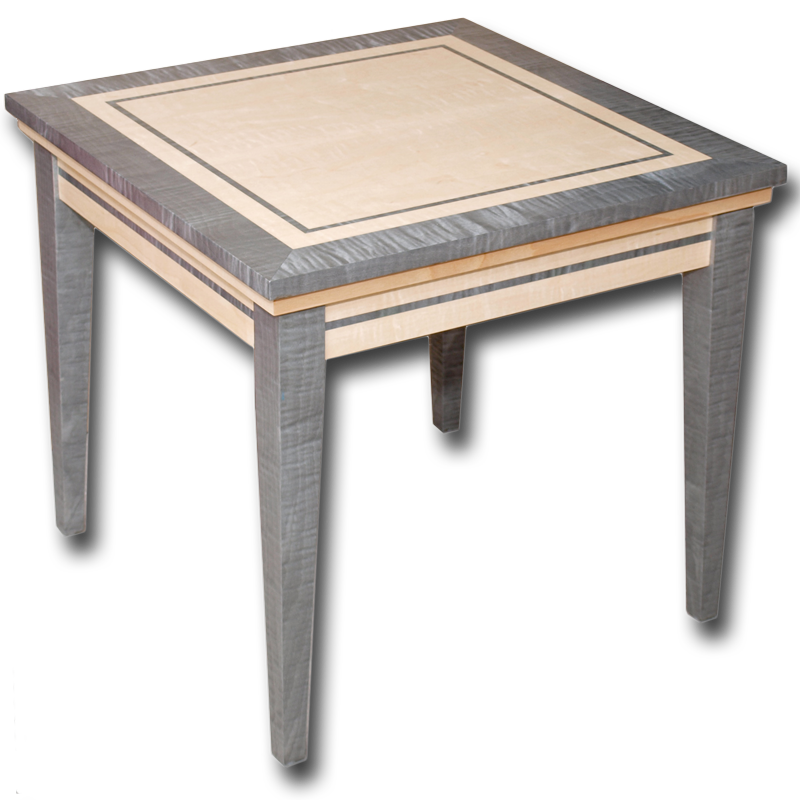 Drawing basic design principles and wood selection from our Marshbeck Deco Range, this unique art deco inspired table was born. Painstakingly designed with every aspect given thought to functionality, asthetics and proportion. 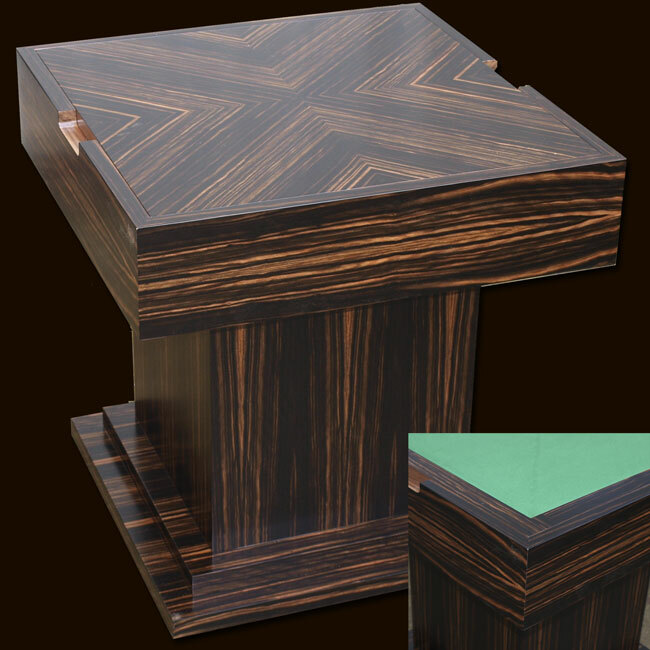 Features feather cut ebony all over and a reversable inset top, revealing a green baize card table! To get a quote for a similar item or something to your own design, please use the form at the bottom of this page. Ref: besp24 Absolutely stunning Ebony Speaker Box/Side Table. Drawing basic design principles and wood selection from our Marshbeck Deco Range, this unique art deco inspired table was born. Painstakingly designed with every aspect given thought to functionality, asthetics and proportion. 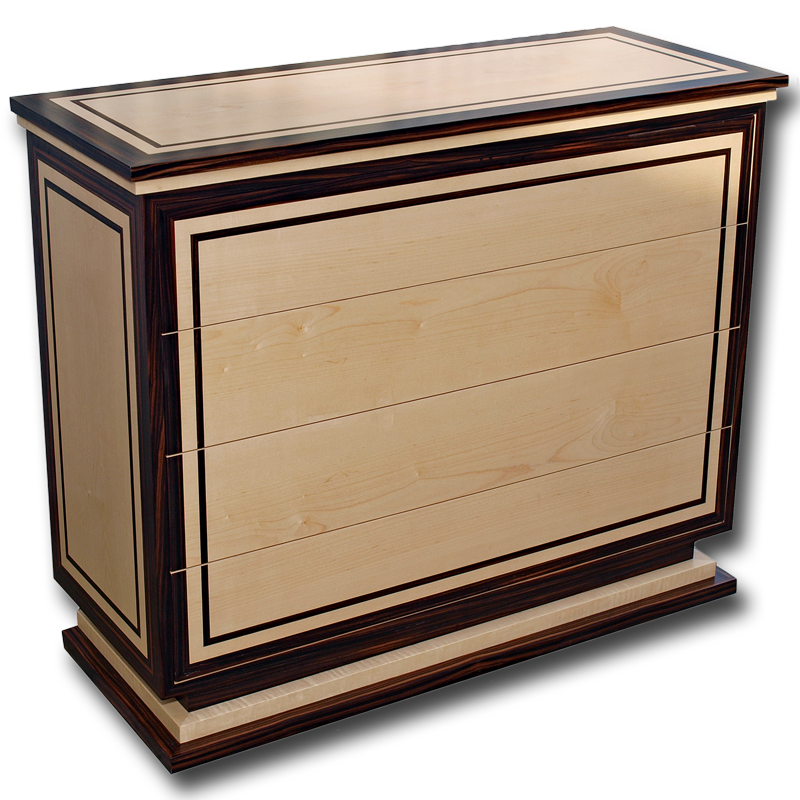 Features feather cut ebony all over and finished in natural lacquer to show off the striking ebony patterns To get a quote for a similar item or something to your own design, please use the form at the bottom of this page. 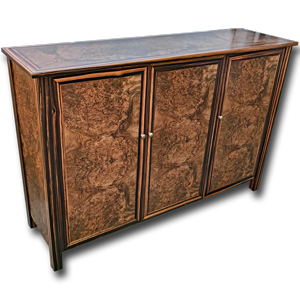 Ref: besp8 Absolutely stunning 84" wide ebony and fiddle maple sideboard. 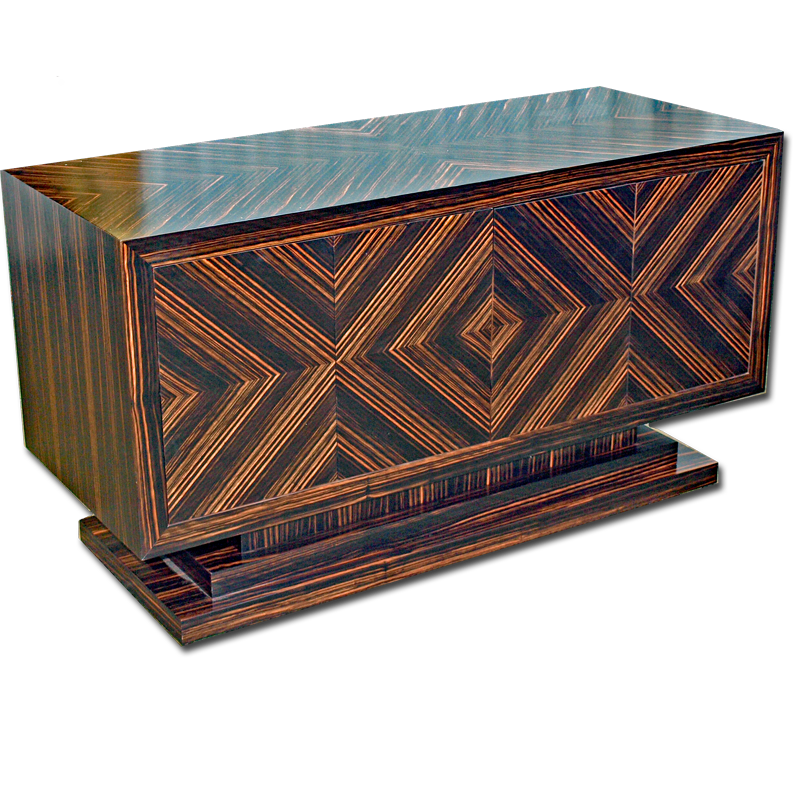 Drawing basic design principles and wood selection from our Marshbeck Deco Range, this unique art deco inspired sideboard was born. Painstakingly designed with every aspect given thought to functionality, asthetics and proportion. 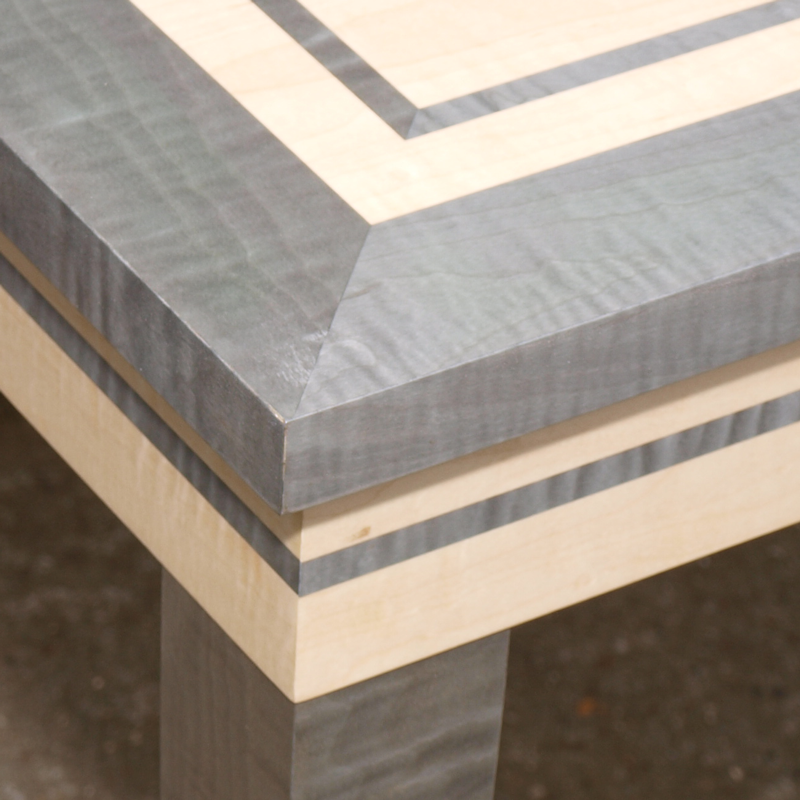 Features graduated steps out of the base and into the top and contrasting inlaid lines throughout. 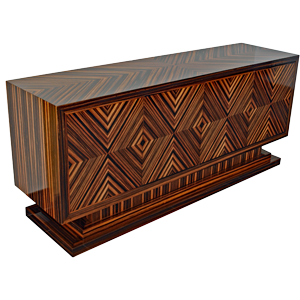 To make the sideboard practical but without compromising on the look, this piece was given 'push to open' doors and internal drawers allowing the exclusion of handles. To get a quote for a similar item or something to your own design, please use the form at the bottom of this page. Ref: besp9 Absolutely stunning ebony and fiddle maple dining table. 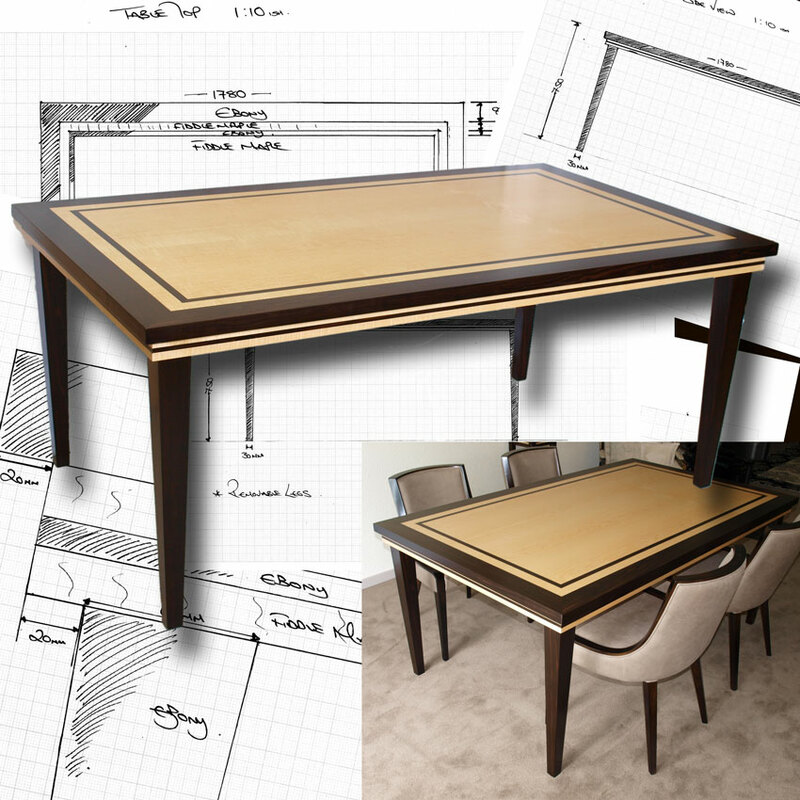 Drawing basic design principles and wood selection from our Marshbeck Deco Range, this unique art deco inspired dining table was born. Painstakingly designed with every aspect given thought to functionality, asthetics and proportion. Features graduated steps into the top and contrasting inlaid lines throughout. 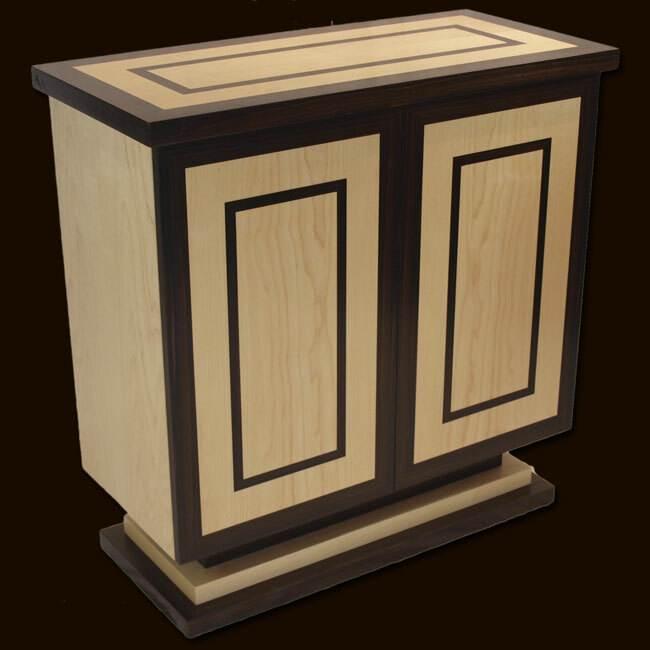 The tapered legs were hand made in mahogany for strength and the veneered in the highly prized Ebony wood. Making them removeable ensured safe travel and easy of delivery through doorways. To get a quote for a similar item or something to your own design, please use the form at the bottom of this page. Ref: besp10 Absolutely stunning ebony and fiddle maple lamp stands. 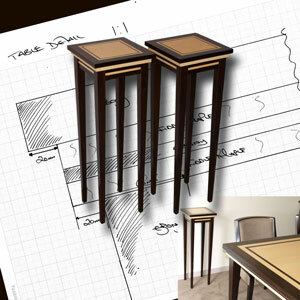 Drawing basic design principles and wood selection from our Marshbeck Deco Range, these unique art deco inspired lamp tables were born. Painstakingly designed with every aspect given thought to functionality, asthetics and proportion. 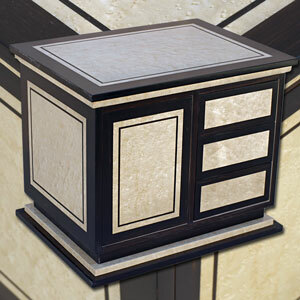 Features graduated steps into the top and contrasting inlaid lines throughout. The tapered legs were hand made in mahogany for strength and the veneered in the highly prized Ebony wood. To get a quote for a similar item or something to your own design, please use the form at the bottom of this page. 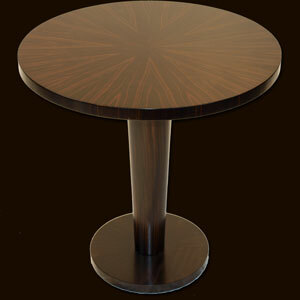 Ref: besp20 Absolutely stunning ebony circular lamp table. 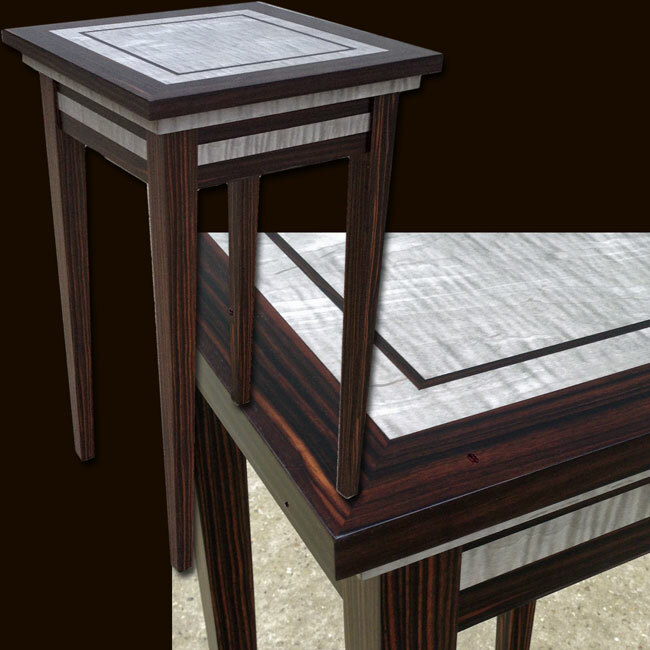 Drawing basic design principles and wood selection from our Marshbeck Deco Range, this unique art deco inspired lamp table was born. 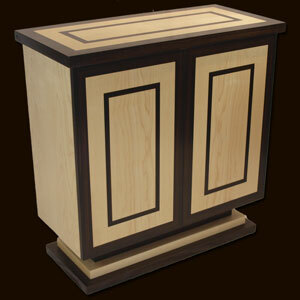 Features tapered column and quartered top all using the highly prized Ebony wood. To get a quote for a similar item or something to your own design, please use the form at the bottom of this page. Ref: besp21 Absolutely stunning ebony square lamp table. 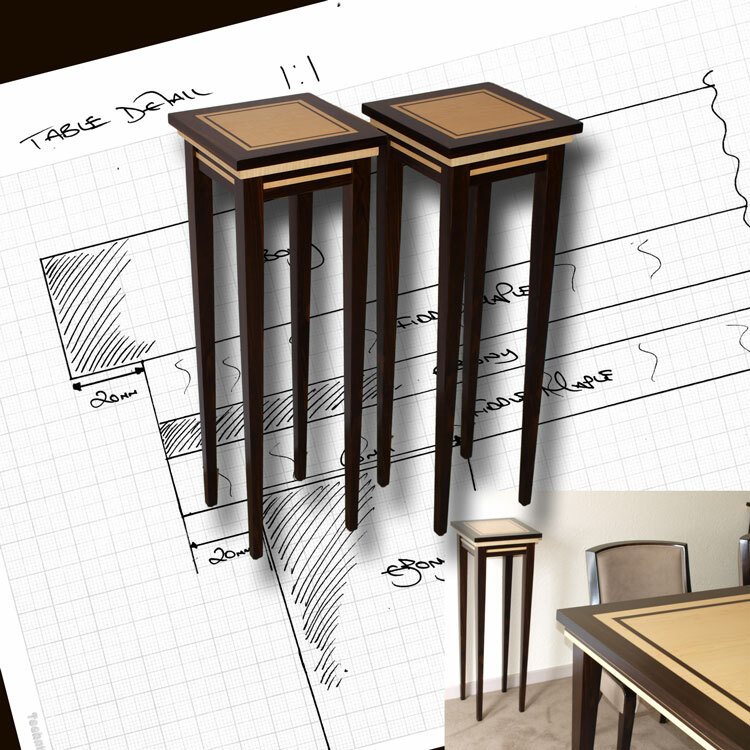 Drawing basic design principles and wood selection from our Marshbeck Deco Range, this unique art deco inspired lamp table was born. Features tapered legs and quartered top all using the highly prized Ebony wood. To get a quote for a similar item or something to your own design, please use the form at the bottom of this page. Ref: besp17 Using items from our Lavenham Deco Collection range, we were asked to modify one our our standard designs to spec. This beautiful TV stand was hand made to spec in the wonderful combination of burr walnut and bird's eye maple woods. 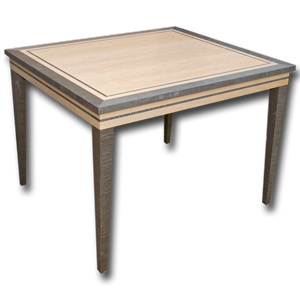 Ref: besp34 Using items from our Lavenham Deco Collection range, we were asked to make this one-off coffee table. This beautiful table was hand made to spec in the wonderful combination of burr walnut, american black walnut and bird's eye maple woods. 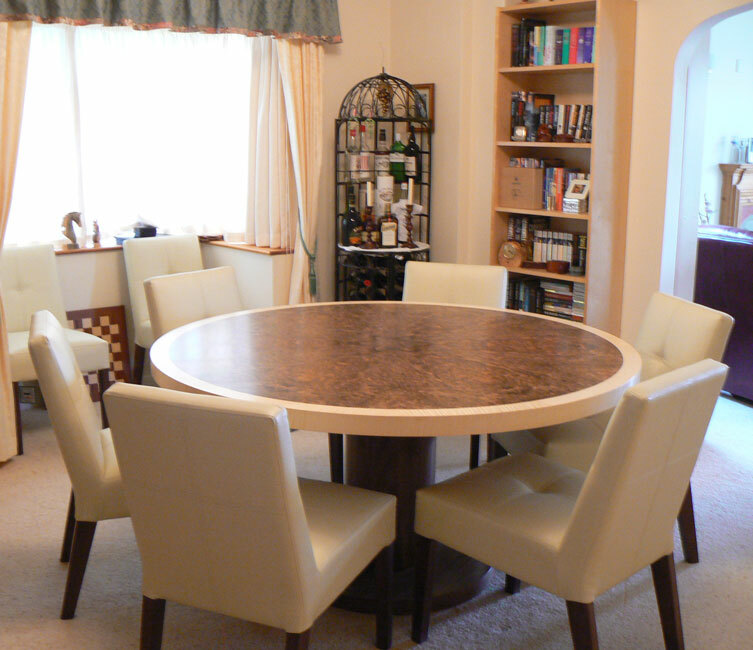 Ref: besp13 Using items from our Lavenham Deco range, we were asked to create this stunning circular dining table. The finest cuts of burr walnut were flanked by a contrasting fiddle maple crossband, all mounted on an American black walnut central column. Ref: besp3 We love an exciting or innovative project as much as our customers love our creations, and this is no exception! Drawing basic desgin principles and wood selection from our Marshbeck Deco Range, this unique 9 piece bedroom set was born. 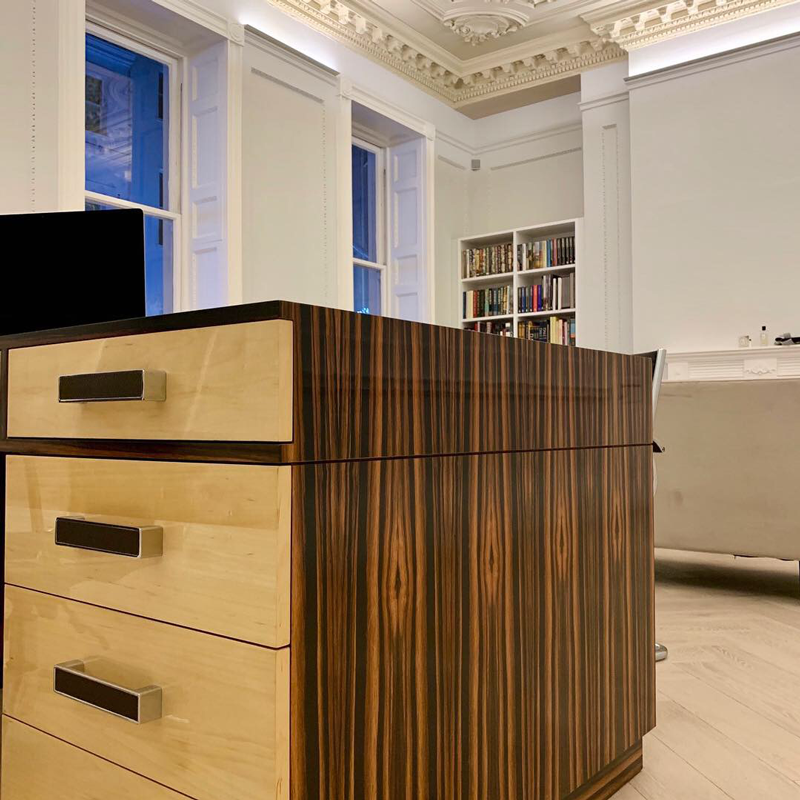 Using simple 'art deco' styles and combining two incredibly beatiful woods, we were able to produce; an impressive 4 section wardrobe which could be disassembled for a house move and great design features such as 'push to open' doors with no handles! 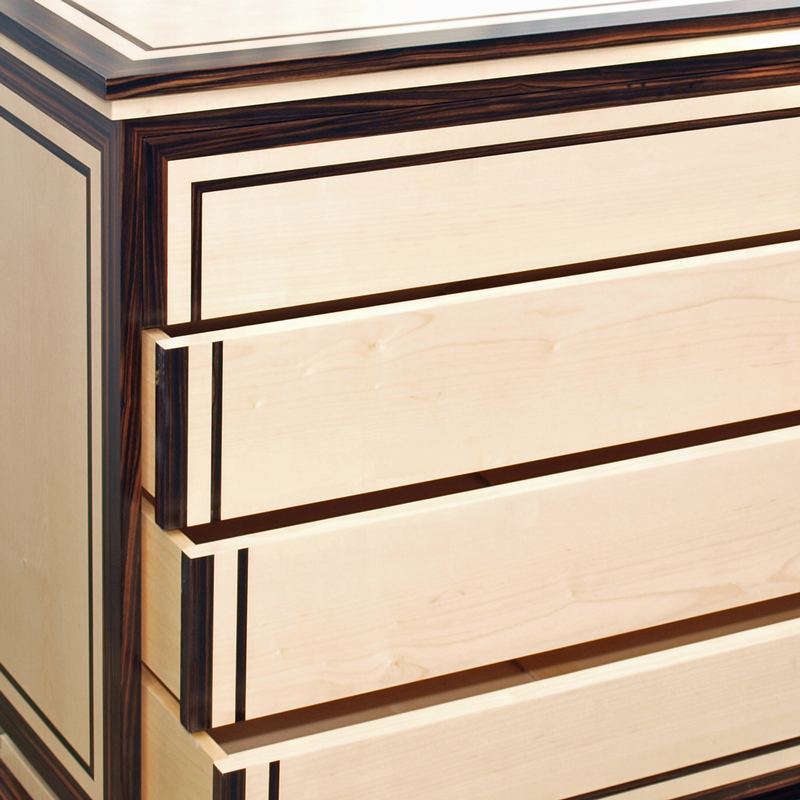 His and hers matching chests and bedside tables with secret drawers. An all in one dressing table with sectioned storage, built in vanity mirror and stool upholstered to match the curtains. We also made a further mirror and towel rack for the en-suite to follow the theme throughout. To get a quote for a similar item or something to your own design, please use the form at the bottom of this page. 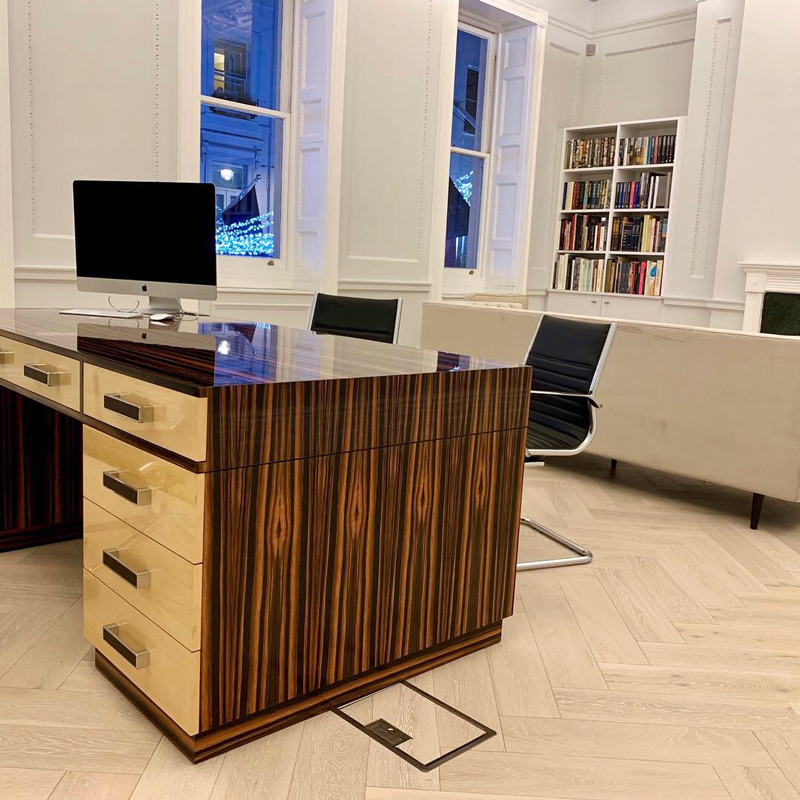 Ref: Besp6 Using items from within our standard Deco range as inpiration, our customer specified the various dimension and design aspects to create a practical and visually stunning piece of furniture. 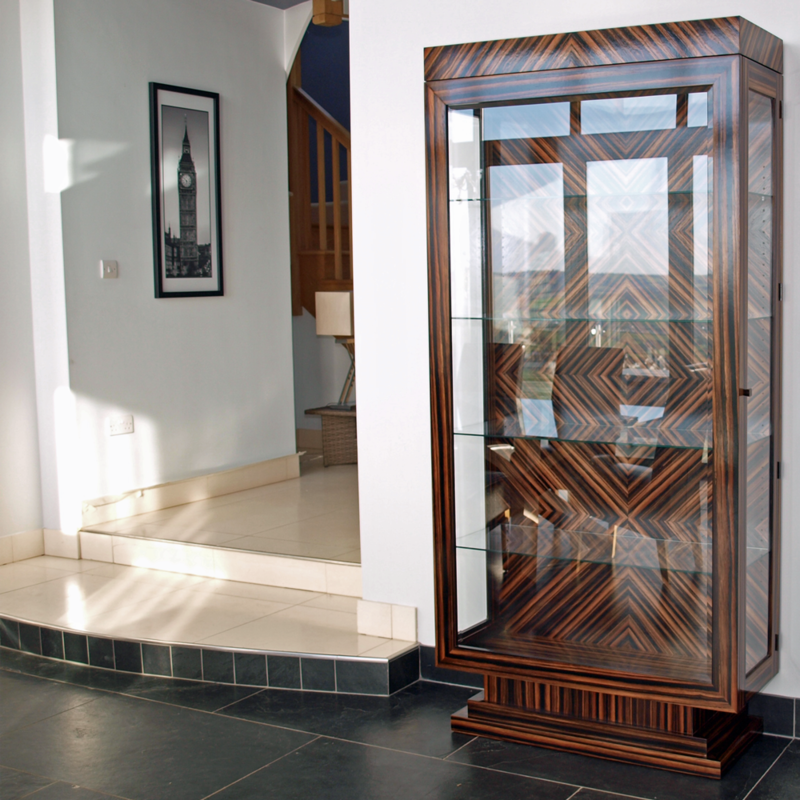 Features include adjustable shelving, feature side panels, burr walnut plinth, equal door size with unequal compartments and a bevelled glass door for use with a remote control. To get a quote for a similar item or something to your own design, please use the form at the bottom of this page. 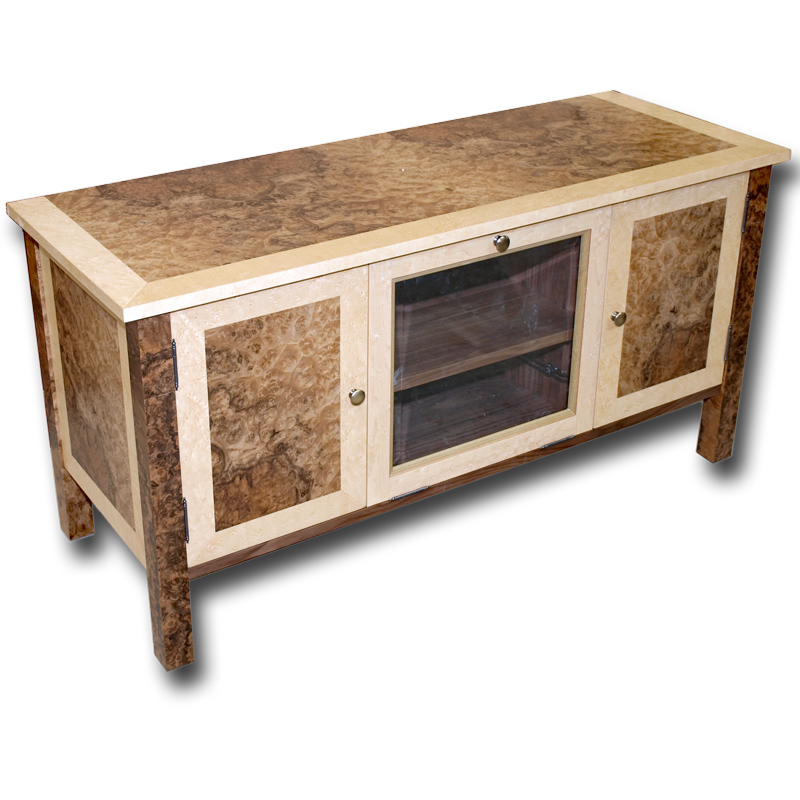 Ref: besp4 Drawing inspiration from our Marshbeck Deco Range, This impressive and unique television stand is both practical and beautiful. 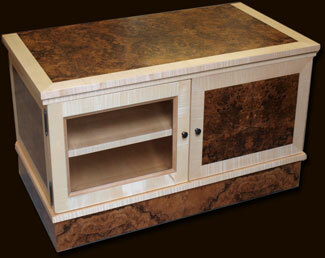 Neatly storing all TV related hardware and wiring, this stand was made using a combination of rare burr elm veneers with contasting cherry wood legs and crossbandings. Finished with no stains to exhibit the natural colour of the woods.